Japan will release Balance of Trade and Exports YoY and the US will publish Foreign Bond Investment and API Crude Oil Stock Change. 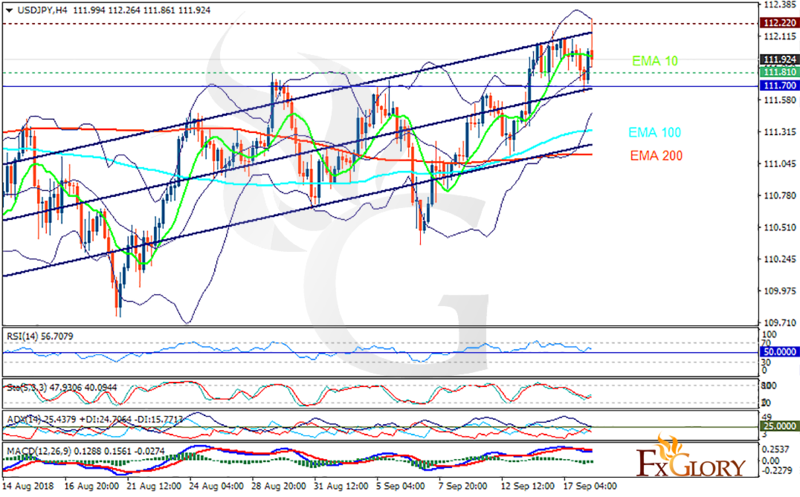 The support rests at 111.810 with resistance at 112.220 which both lines are above the weekly pivot point at 111.700. The EMA of 10 is moving horizontally in the ascendant channel and it is above the EMA of 100 and the EMA of 200. The RSI is falling towards the 50 level, the Stochastic is showing upward momentum and the MACD line is below the signal line in the negative territory. The ADX is showing buy signal. While considering pullbacks on the way, JBPUSD may continue its growth towards 112.5.